Petite Sirah from Lodi, California. 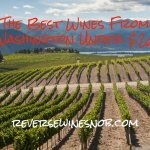 SRP of $26 and available to NakedWines.com Angels for as low as $12. Sample submitted for review. 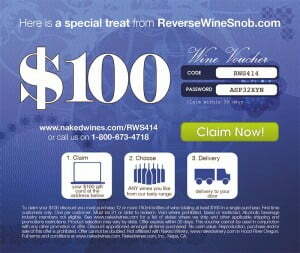 “NakedWines.com Angels give “to put your money where your mouth is” an entirely new meaning. They support me to live out my passion and carve out my legacy, and all I have to do is give them delicious wine in return. 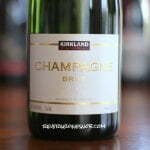 You put so much faith in me, and I hope you’ll find I put everything I could into the quality of this wine. Thank you, Angels. 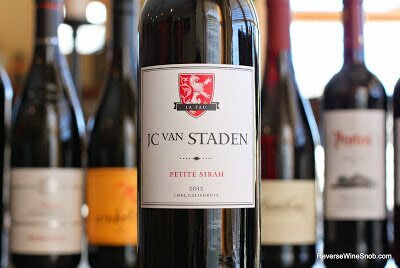 The 2012 JC Van Staden Petite Sirah begins with pleasant aromas of blackberry, plum, spice and licorice. Tasting the wine reveals tons of delicious savory fruit, really well-integrated spice and more delicious licorice notes. Better yet, it just just keeps getting better the more air it gets. It ends dry with a long, grippy finish. 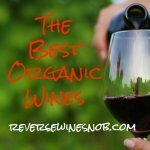 Petite Sirah is one of our favorite varieties and this one certainly does not disappoint! This post contains affiliate links. If you click through using these links and make a purchase we may be compensated. We use this money to pay for the costs of running this site. 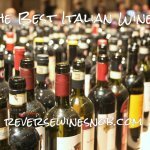 Thank you for supporting us in this way!Like The Reverse Wine Snob on Facebook and add our page to your circles on Google+!